via the trains at the now historic Broad Street Station. In 1996, it became The William Byrd Hotel Apartments after renovations that converted 2 hotel rooms into 1 bedroom apartment homes for seniors age 55 and older. At that time the building was listed on the state and federal register as an historic landmark. 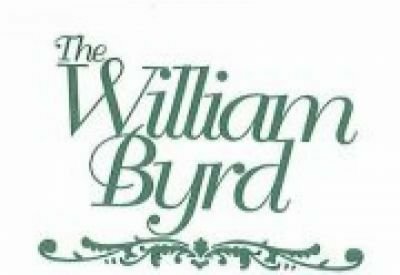 In 2016, the community was renamed The William Byrd Senior Apartments, scheduled major renovation were undertaken to upgrade the community and to maintain its historic landmark designation as well. The William Byrd Senior Apartments, is currently leasing to the general public for immediate occupancy upon approval of application. Applications now being accepted for our waitlist! Epoch Properties, Inc. Richmond VA is seeking a self-motivated and dedicated Community Manager for our established total Senior (55+) Community located in Henrico County. This position requires a manager with hands on experience of at least 5 years completing certification of income and assets as required by the IRS Sec. 42 LIHTC program and must be a Housing Credit Certified Professional Certificate holder. 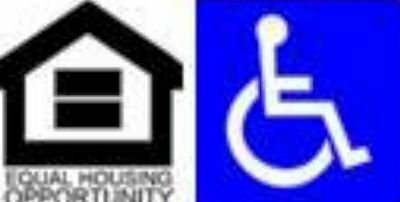 The Community Manager must be able to have friendly “firm but fair” tenant relationships with working knowledge of the VA Residential Landlord & Tenant Act. Candidate must be exceptionally organized with the ability to manage multiple tasks on site between multiple site buildings. This role is responsible for the planning, organizing and controlling administration, operations and fiscal management of the property on a daily basis as well as annual budgets & file audits as required. Income Certification – Must be able to initiate and monitor all Certifications for applicants and residents to comply with LIHTC requirements and maintain highest level of 100% pass rating on all property audits. Lease Administration – Effectively manage to maintain highest occupancy and provide proven marketing strategies to meet occupancy standards. Proficient with RealPage-OneSite leasing/rents & purchasing programs, must be proficient with Microsoft Office Suite products. Knowledge of VHDA WTCMS program is a plus. Epoch Properties, Inc. Richmond VA is seeking a self-motivated Assistant Community Manager for our established total Senior (55+) Community located in Henrico County. This position is for a team player with hands on experience of at least 2 years completing certification of income and assets as required by the IRS Sec. 42 LIHTC program. Must be exceptionally organized with the ability to manage multiple tasks on site between multiple site buildings. Will report directly to the Community Manager for all job duties. Income Certification – Must be able to initiate and monitor along side the Community Manager, all Certifications for Applicants and residents to comply with LIHTC requirements and maintain highest level of 100% pass rating on all property audits. Administration –Effectively manage procedures related to collections, delinquencies, accounts payable and receivables, monitor all phone calls, resident service requests and communications as needed. If you are ready to become a team player and put your ability to build successful relationships while providing exceptional service to our Senior residents, please send your resume with a cover letter include salary history in confidence. Paid holiday, vacation and sick time.